LONDON — Experts are testing food, water and air conditioning systems at an Egyptian resort hotel where a British couple died under mysterious circumstances, the chief executive of travel company Thomas Cook said Sunday. 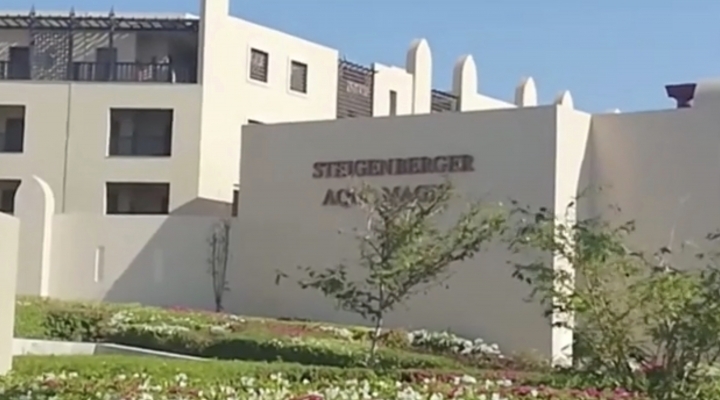 Thomas Cook Group CEO Peter Fankhauser pledged to find out what happened to John and Susan Cooper, who died at the Steigenberger Aqua Magic Hotel in the Egyptian Red Sea resort of Hurghada on Tuesday. The couple's daughter, Kelly Ormerod, told British media Friday she was suspicious because her parents had been in perfect health hours before they died. She said John Cooper died in his room, and Susan Cooper died after she was taken to the hospital. Fankhauser told Britain's Sky News on Sunday there was no evidence of carbon monoxide poisoning. Experts "took probes of the food, of the hygienic systems, of water, as well as the air conditioning systems and all those probes are now in Egypt," he said, adding that the tests would take 10 days to complete. Thomas Cook evacuated 300 guests from the Aqua Magic as a precaution after the Coopers died and it emerged that 13 other customers had food poisoning. But the hotel told The Associated Press in an email that there was no increased level of illness there and attributed the couple's deaths to "natural causes." Prosecutors in Egypt on Saturday dismissed speculation that toxic gas fumes in the Coopers' hotel room killed the couple. An official inspection of the room found no harmful gas leaks and all the devices worked properly, they said. The Egyptian prosecutor's office said it is awaiting a forensic analysis of samples taken from the bodies to provide more details. Egyptian authorities dismissed criminal motives as being behind the deaths. An official statement by the Red Sea governorate on Friday said an initial medical examination of John Cooper showed he had suffered acute circulatory collapse and a sudden cardiac arrest. It said Susan Cooper later fainted and was rushed to a hospital, where resuscitation attempts continued for a half-hour. Egypt's vital tourism industry has been dealt severe blow due to political turmoil that ensued after a 2011 uprising that toppled longtime autocrat Hosni Mubarak.